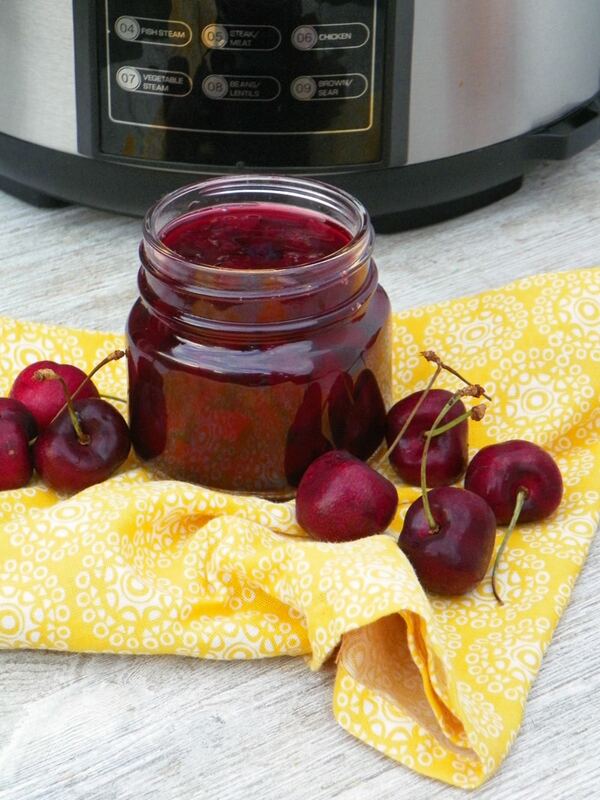 This Homemade Instant Pot Cherry Jam is a delicious jam that is perfect on toast or biscuits. You can also serve it over yogurt and ice cream. And it’s a lovely gift idea for friends and family! 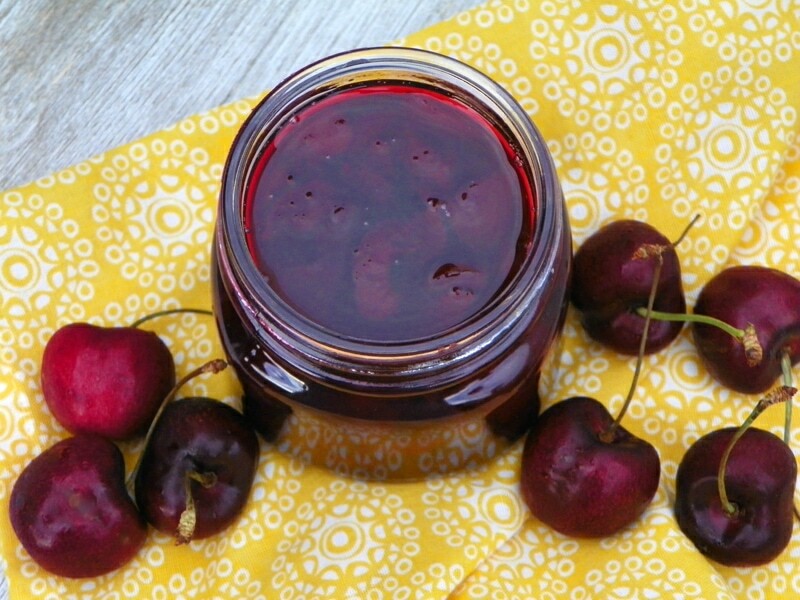 Enjoy the taste of summer year-round with this delicious Cherry Jam. Take advantage of the great sales prices on Cherries when they are in season and freeze them. 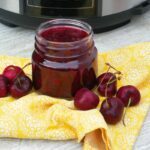 Then you can use them in recipes to make smoothies, muffins, desserts or this amazing Cherry Jam. Scroll to the bottom for printable recipe. This jam is made in the Instant Pot and it is not processed in a waterbath since it doesn’t make much. You can keep it in the refrigerator for about 2 weeks (it never lasts that long at our house) or freeze it in a freezer-safe containers. 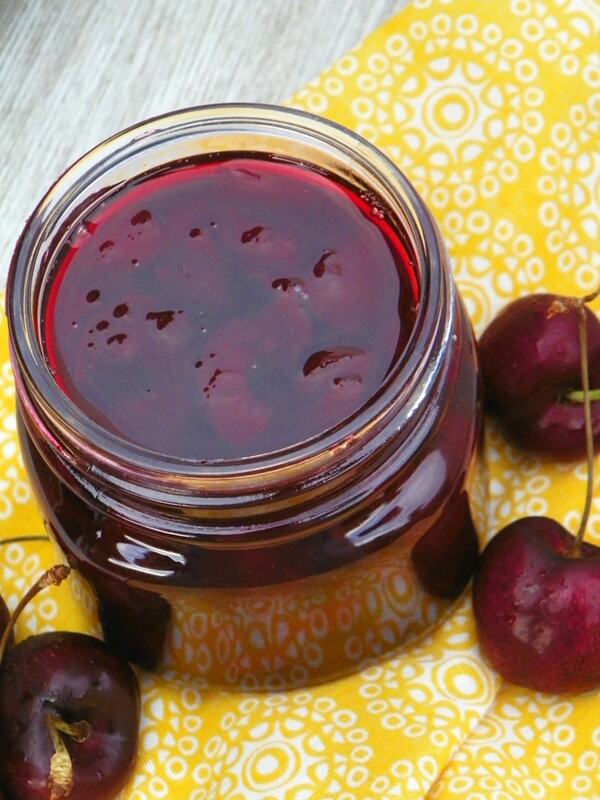 To make this Cherry Jam you will need honey, cherries, lemon juice and one package pectin. First you need to clean, pit, and chop your cherries. Place your Instant pot on sauté. Add in the honey, and allow to melt for about 2 minutes. Turn off Instant Pot. 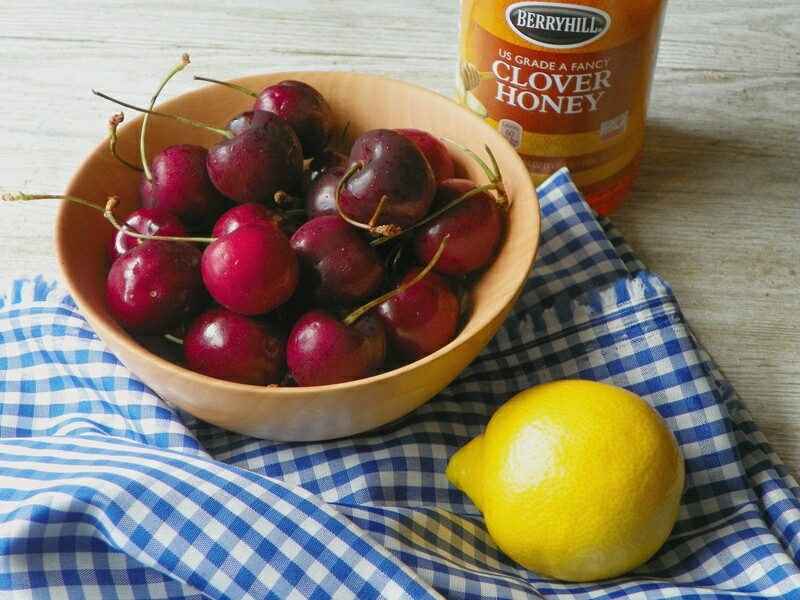 After the honey has melted, add in the cherries, juice of one half of a lemon, and pectin powder. Stir cherries to combine all ingredients. Turn your Instant pot back on and set to high pressure for 5 minutes. Place the lid on, close the valve, and press start. After the 5 minutes is over, allow to naturally release. After about 10 minutes, if you cannot open the top you will need to open the valve and allow the rest of the pressure to release. Add the jam into sterilized glass jars and properly seal. Place upside down until they cool completely. Place in your refrigerator. Enjoy this delicious Cherry Jam for breakfast, as a snack or dessert. It’s so versatile. Hope you enjoy this delicious Cherry Jam! 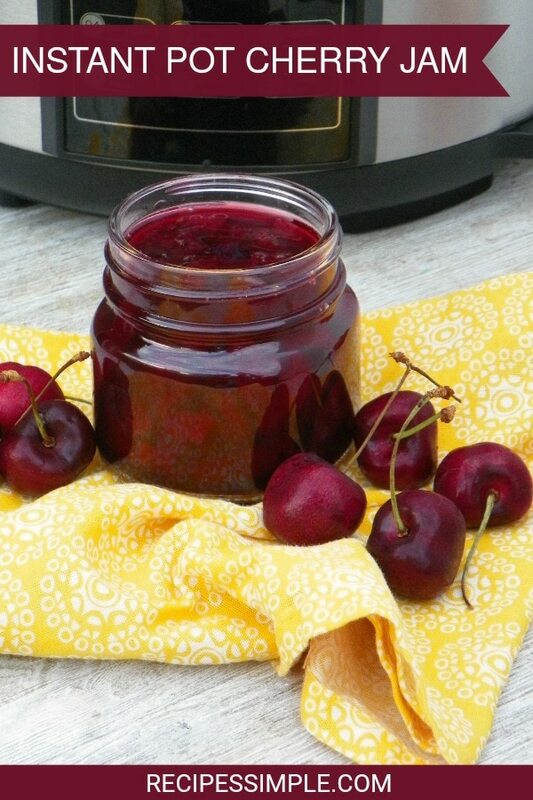 This Instant Pot Cherry Jam is a delicious jam that is perfect on toast or biscuits. You can also serve it over yogurt and ice cream. And it's a lovely gift idea for friends and family! Clean, pit, and roughly chop your cherries. Place your instant pot on sauté. Add in the honey, and allow to melt, about 2 minutes. Turn off pot. Turn your Instant pot back on, and set to high pressure for 5 minutes. Place the lid on, close the valve, and press start. After the 5 minutes is over, allow to naturally release. After about 10 minutes, if you cannot open the top, open the valve and allow the rest of the pressure to release. Add the jam into glass jars and properly seal. Place upside down until they cool completely. Place in your refrigerator. Keep in mind that your jam will thicken as it cools. Don’t add in more pectin than mentioned above. Does this freeze well? Thank you! It does! I have some in the freezer to use this winter. Hope you enjoy it! How do you properly seal? And how long will it last in the fridge? After it has cooled, turn them right-side-up and check the vacuum seal by giving the lid a gentle push with your thumb in the center. If the jars have sealed properly, you will not be able to depress the lid further because you have created a vacuum already. If you hear a slight click and feel a slight indention then you did not seal the jars properly. You can keep it in the refrigerator for about 2 weeks. I have not tried it with frozen cherries but I think that should work just fine. Hope you enjoy it! Yes you can use frozen cherries. I used sweet but you can use tart cherries with one cup of honey. It would be fine to use the same recipe with blueberries wouldn’t it? Yes I think Blueberries would work also in this recipe. I haven’t tried to double the recipe so I’m not sure how it would do.